Mang Unyot scouting the area, determined for today's catch. Here, he is an artist, and the lake his canvas. 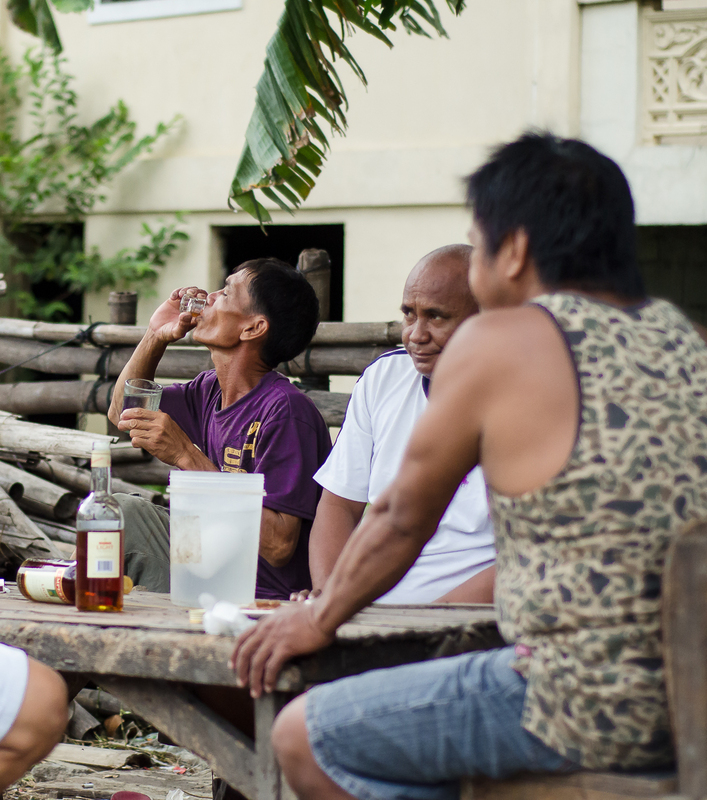 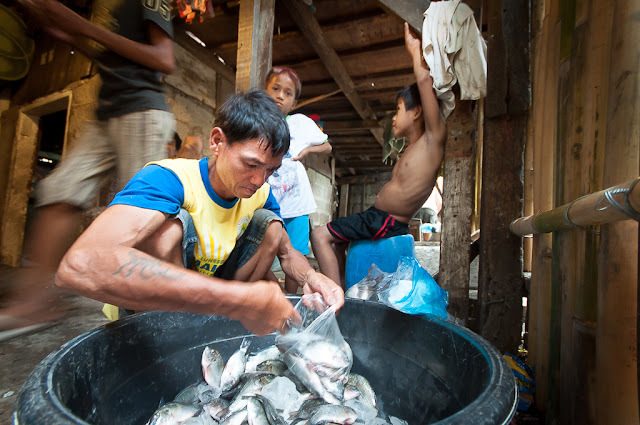 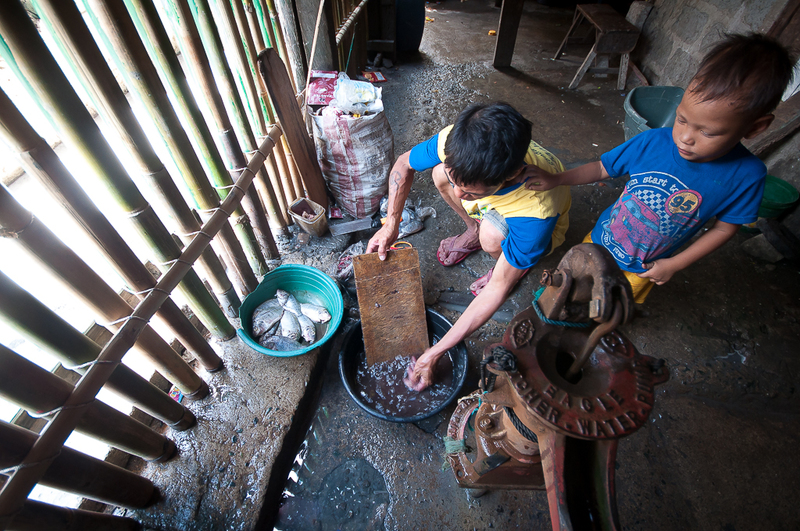 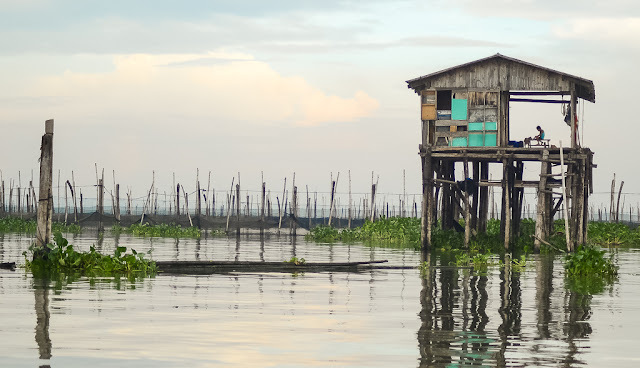 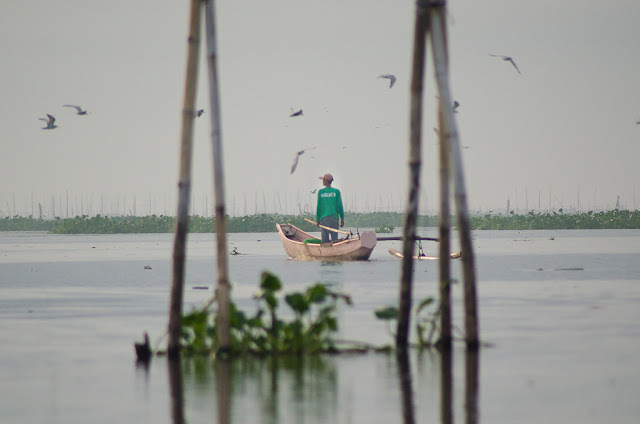 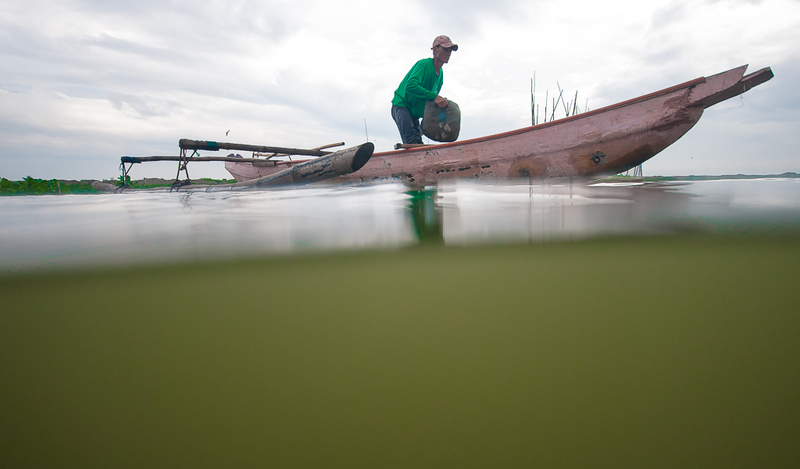 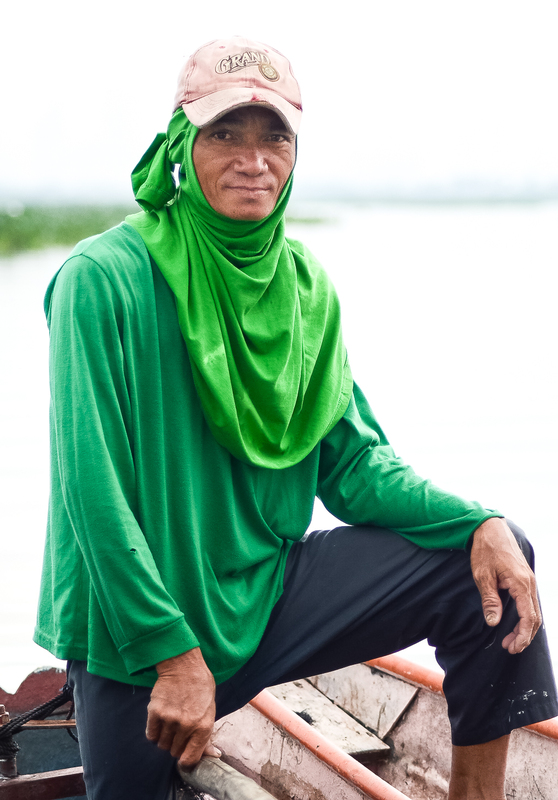 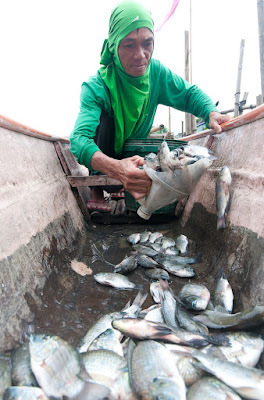 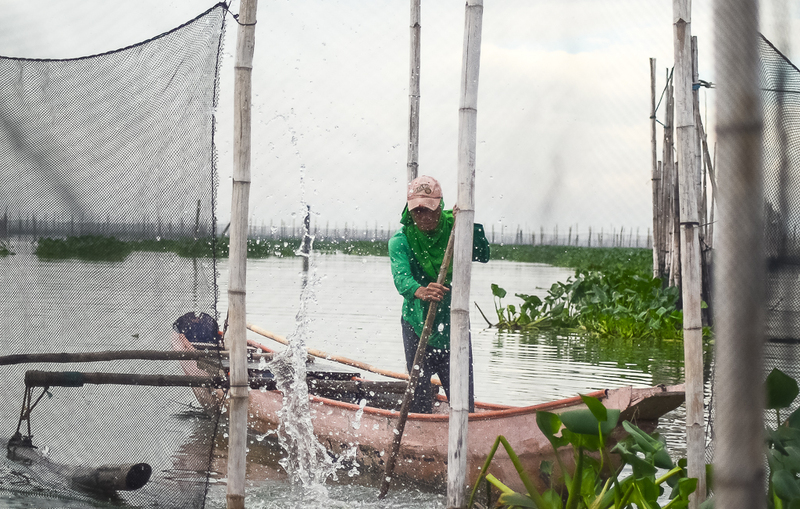 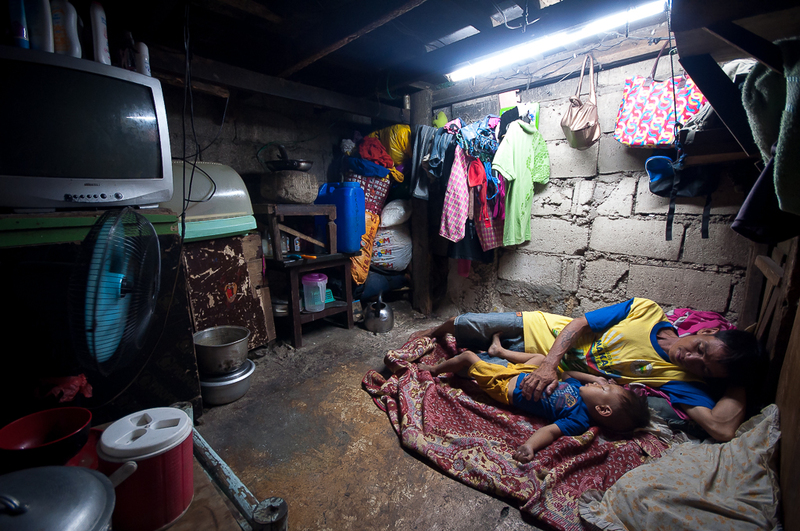 Laguna de Bay is where he hopes for a better tomorrow for his family. 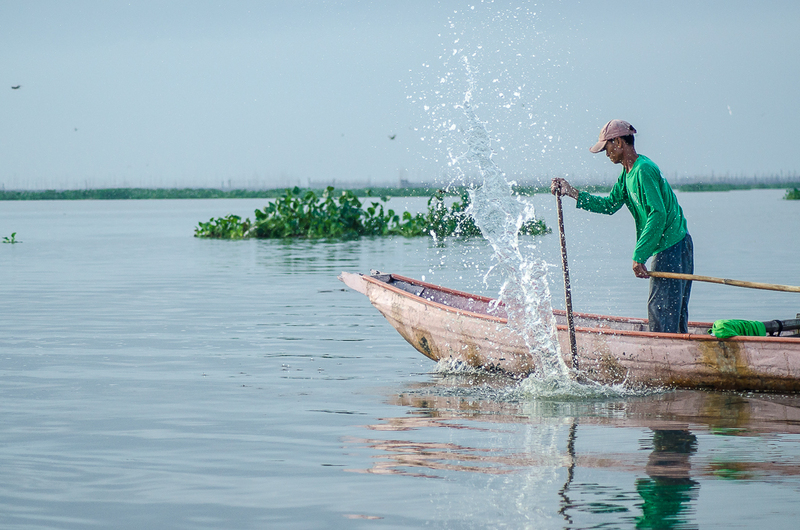 The lake is not only his source of livelihood, it is also his symbol of hope for good things ahead. 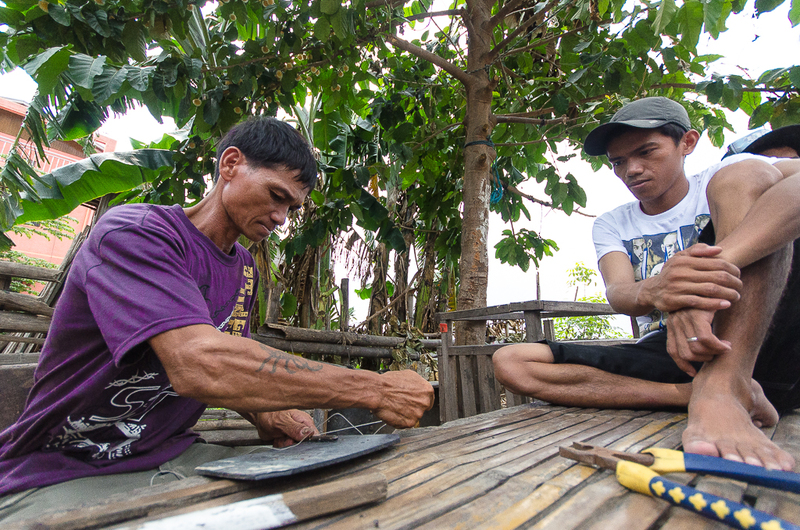 In the past, more than half of the residents in Barangay Wawa were fisherfolk, but the years have seen this number dwindling down. 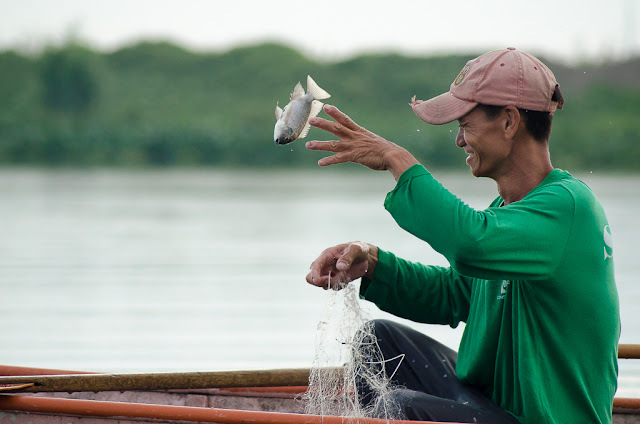 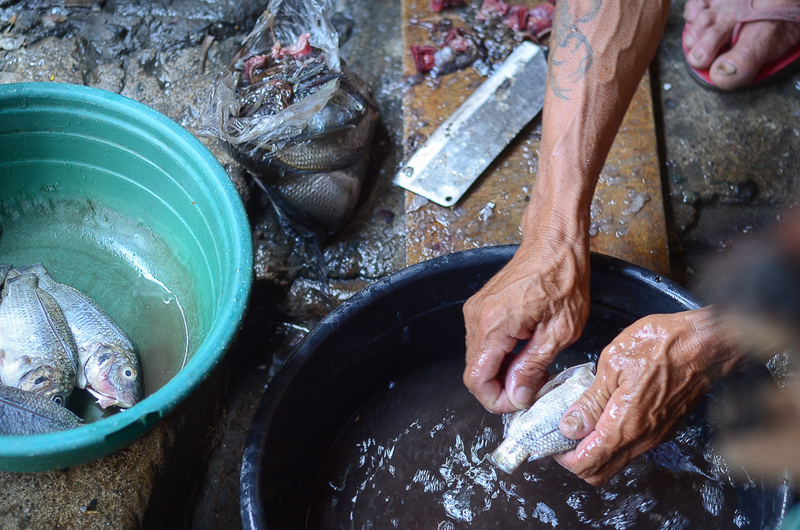 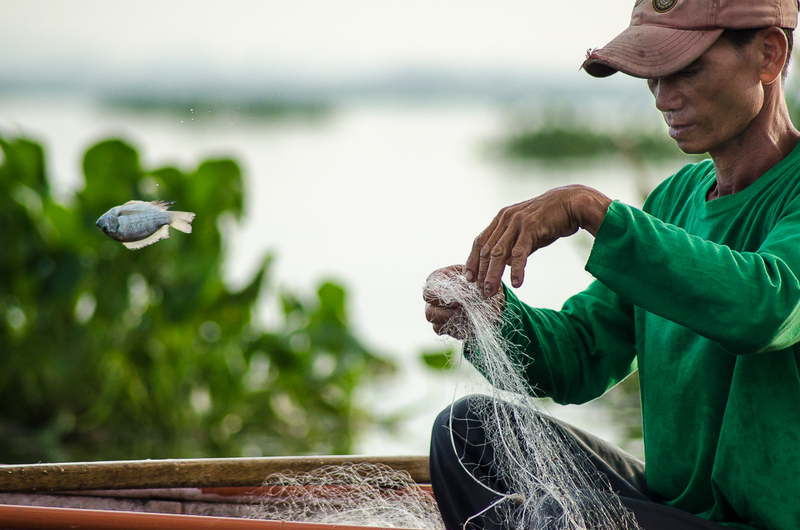 The few remaining ones, including Mang Unyot, fear that one day will come when their local art of fishing, their "Pamamante," will be forever lost. 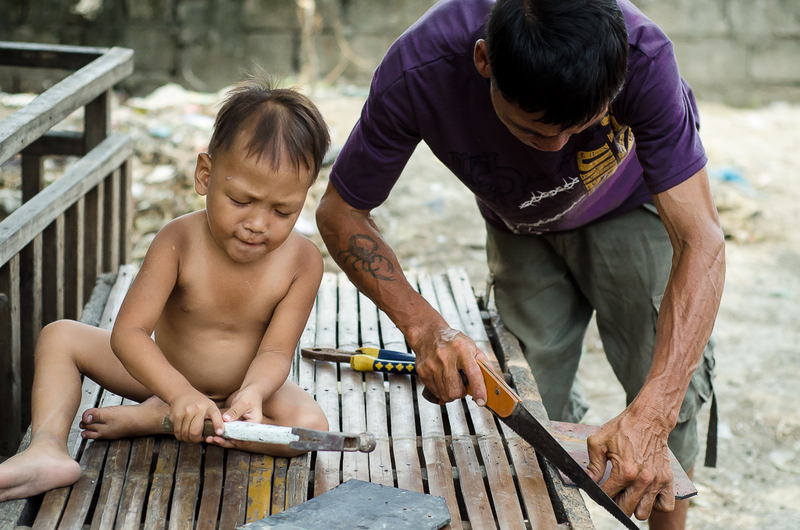 He hopes that he can pass it on to the younger ones; they may go on and pursue other jobs, but he hopes his art won't be forgotten. Yet he feels the tides of change in his time. 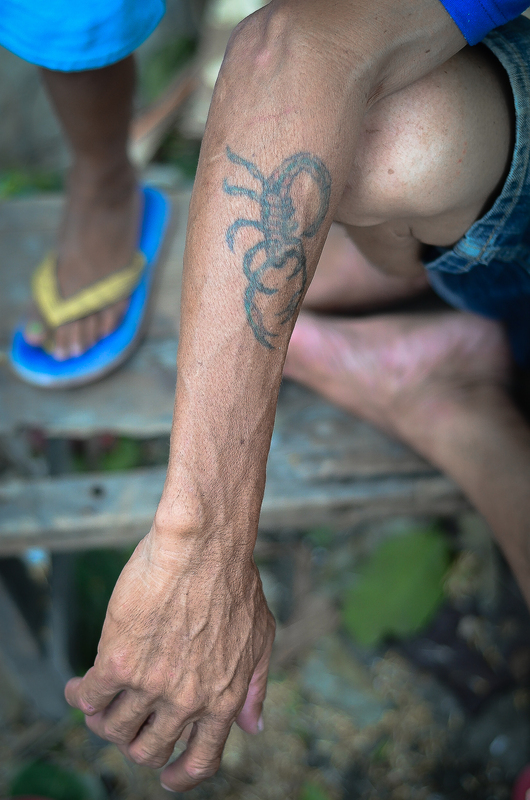 teenage years marks his arm. 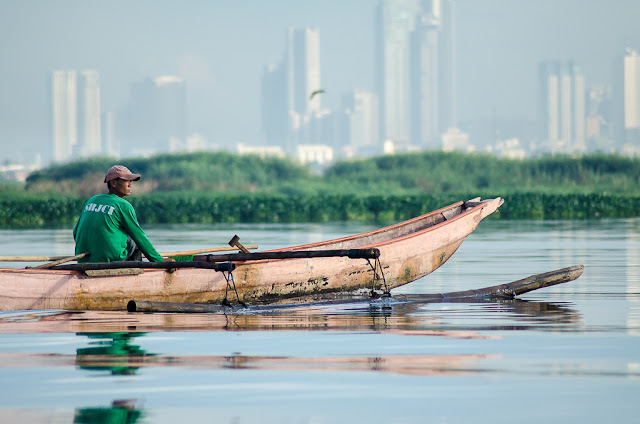 his boat for another day at the bay.